If you love your cloth diapers, but need the convenience of disposable diapers, hybrid cloth diapers are a great solution! Whether you're traveling, dealing with sickness, need to use a diaper cream that is not cloth diaper safe, or want something easy for caregivers, disposable inserts for your cloth diapers can be a great option! There are three options that really stand out in the cloth diapering community and you may be struggling to pick one! I've broken them down and taken a ton of pictures to help you decide which option is best for you! These inserts are very absorbent, but don't always keep poop off of the Flip cover. 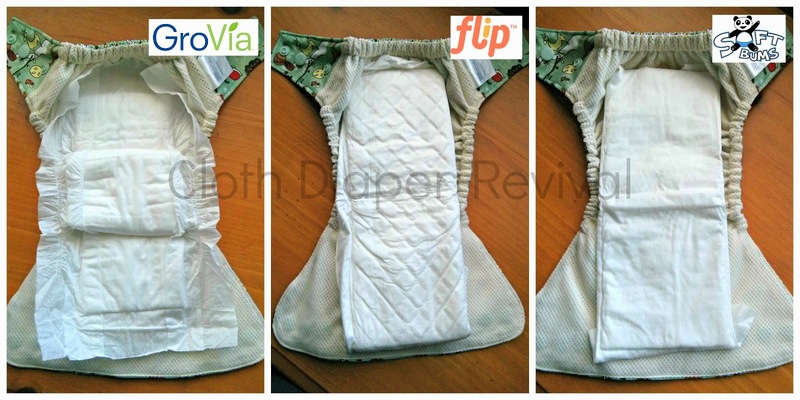 Meaning if your child poops while wearing the Flip disposable insert inside a Flip cover, you may need to wash the cover before using again. The insert is longer than the cover. When using the cover completely unsnapped in the rise, you'll still need to fold the insert to fit. This creates great absorbency where the insert is folded over. These inserts are very absorbent and do a great job of containing the poop and keeping it off of shell thanks to the gussets. There have been complaints of the sticky "glue" that holds the insert in place may leave a hard to remove residue on your GroVia shell, but I have not experienced this problem. These inserts are very soft! SoftBums recommends using one pod at a time for an infant, but two pods stacked together for a toddler, heavy wetter, or overnight. They fit perfectly inside the both the Echo and Omni shells, so there isn't really room for poop to get on the cover (unless it's liquid). Enter to win a SoftBums prize pack that includes a SoftBums shell and a package of H-pods! The following pictures show each of the three inserts laid inside the all three covers. All three shells seem to support the different brands of disposable inserts without issue. You could use the systems interchangeably. 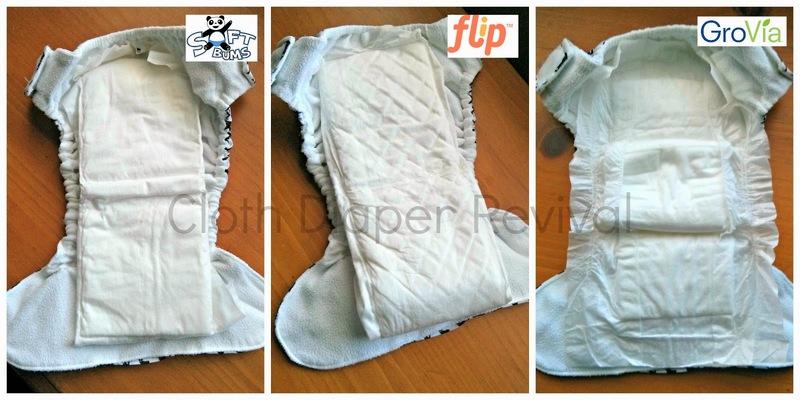 The Flip and the SoftBums inserts are very similar in shape and feel. The SoftBums pod is about 2/3 the size of the Flip insert. With the Flip, it is unlikely that you would ever use the insert fully stretched out and would need to fold it down to about the size of the SoftBums insert. While this will create a little more bulk, it will give you more absorbency. SoftBums recommends using two of their pods stacked together when using overnight or with a toddler. 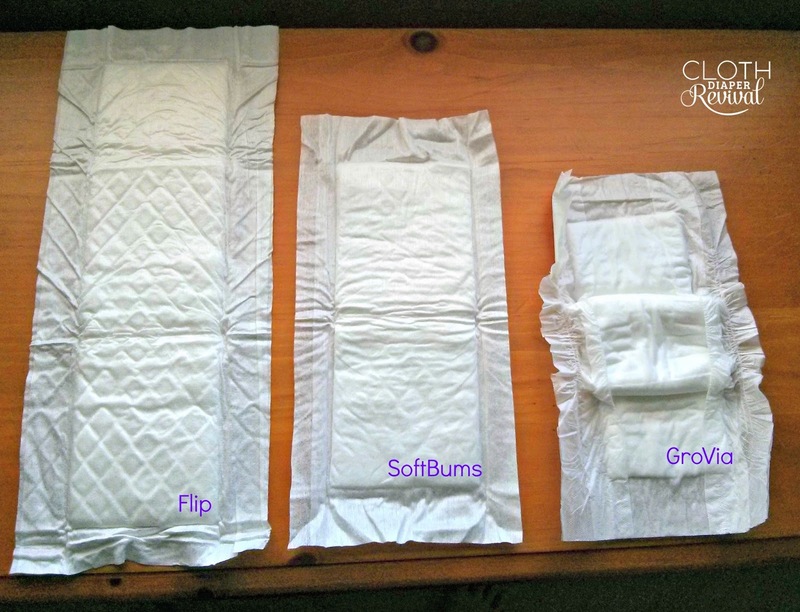 The folded Flip could be enough absorbency to not need the two SoftBums. The GroVia soaker is very different in that it has the sticky back with the gussets. Completely stretched out, it is about the same size as the SoftBums insert. 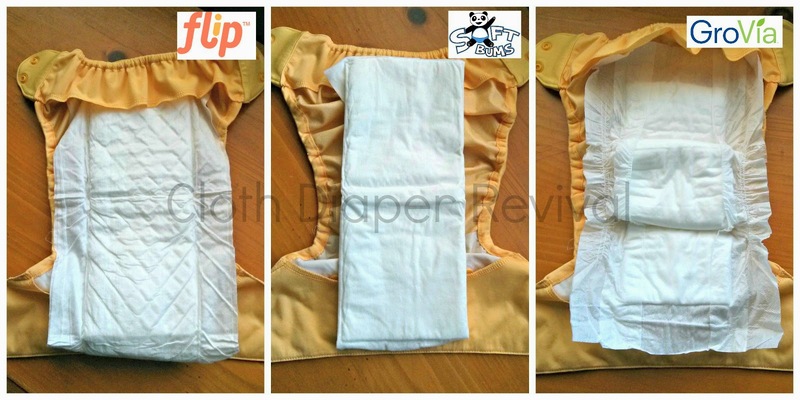 The gussets really help contain the poop and prevent you from having a soiled cover after the diaper change. All of these options are really great! Compared to the cost of a standard disposable diaper (Huggies, Pampers, store brand, etc) they are expensive. However, when you compare the cost of each of these to a "greener" disposable diaper (Honest, Earth's Best, etc), the cost per diaper is in the same ballpark. I have had success using all three of these brands. If you have the shells for one brand and want to buy the inserts that match that brand, you will be okay. However, you can mix and match these inserts to use in whatever shell you choose. For the liquid newborn poop stage, I would recommend the GroVia Biosoakers. They do a really great job of containing poop. Overall, if I were to pick one brand and one brand only, I would recommend Flip. It is the least expensive of the three options and the longer length gives you more absorbency in each diaper instead of doubling up. Why are these so expensive? I was looking into them for my little one, but was forced to abandon the idea when I found that they cost more than disposables! 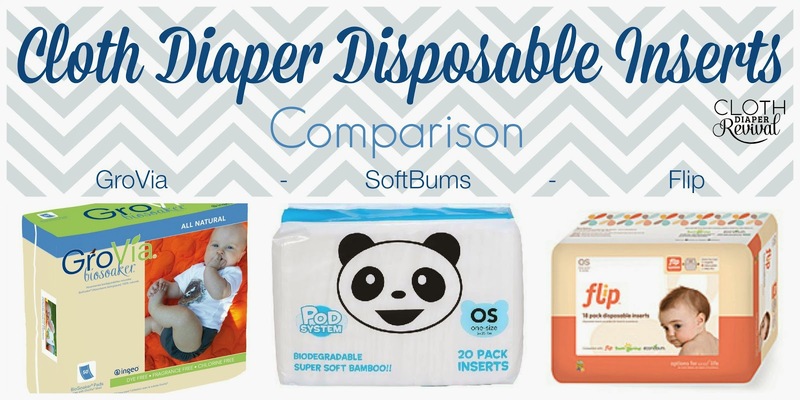 They are more expensive than disposable diapers, but if you compare them to the cost of "greener" disposable diapers they are in the same price range. So considering that fact, they aren't really off base.